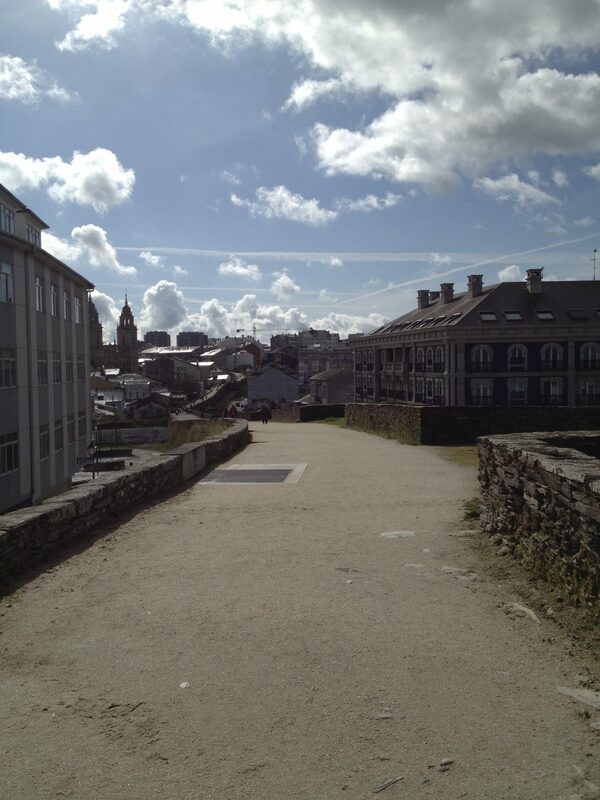 Why should YOU GO, to LUGO?! We have to give a special thanks to Roeland and Katelyn Schaftenaar for sparking our love and passion for international travel. 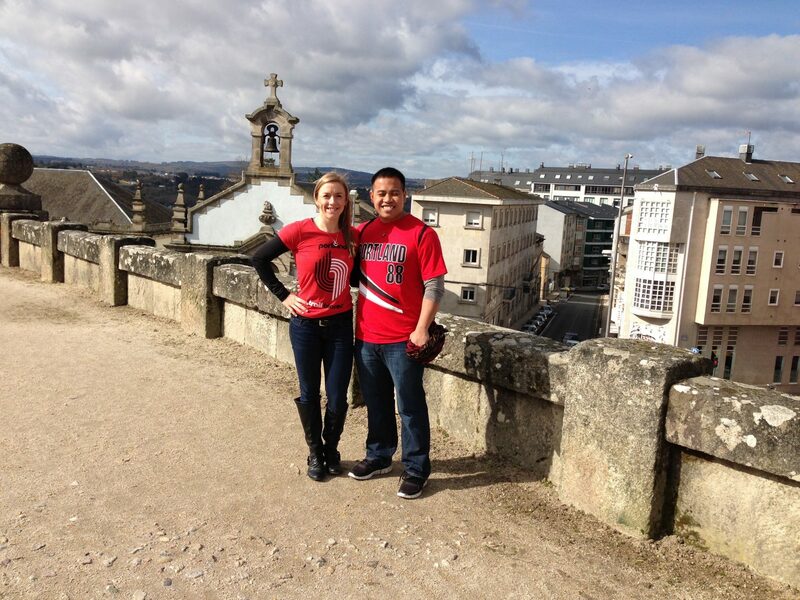 In 2013, we took our first trip outside of the United States together, to visit Tarah’s friends from college, in Lugo, Spain. Yes, you are probably wondering where Lugo is, just as we did when we found out that Roeland would be playing professional basketball for their team. Once they were settled in, they gave us an open invitation to come visit, and we aren’t ones to turn down an invitation to visit friends, even if its 10,000 miles away. 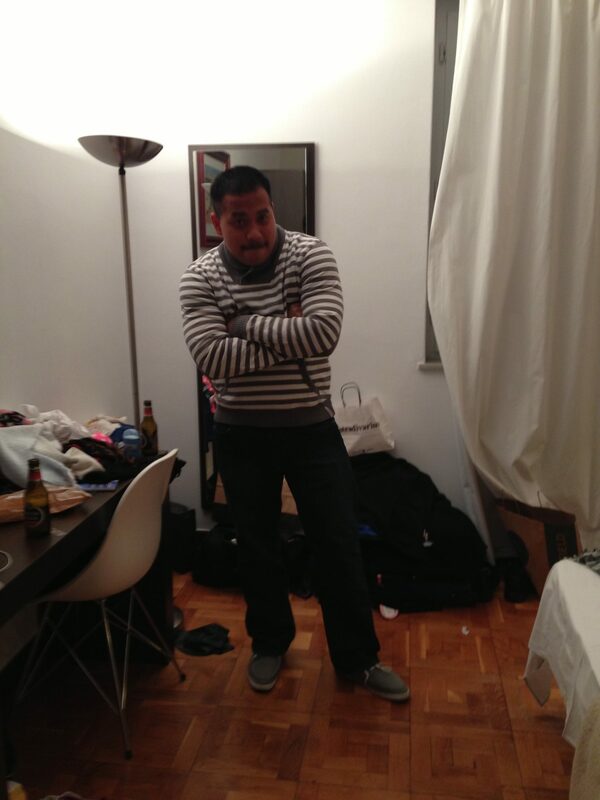 Once we decided we were going, the next step was to look up where Lugo was. 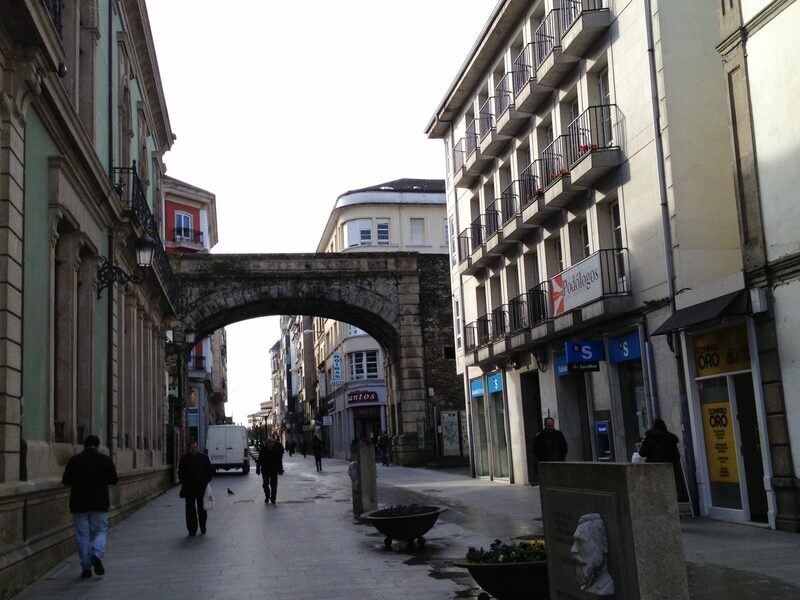 For those who are unfamiliar with Lugo (like us, before we went) it is located in the North Western part of Spain, directly above Portugal. It’s not the first city you would think of going when planning a trip to Spain. When travelers think of Spain, cities like Madrid, Barcelona or Seville are more likely to be the cities that pop into mind. 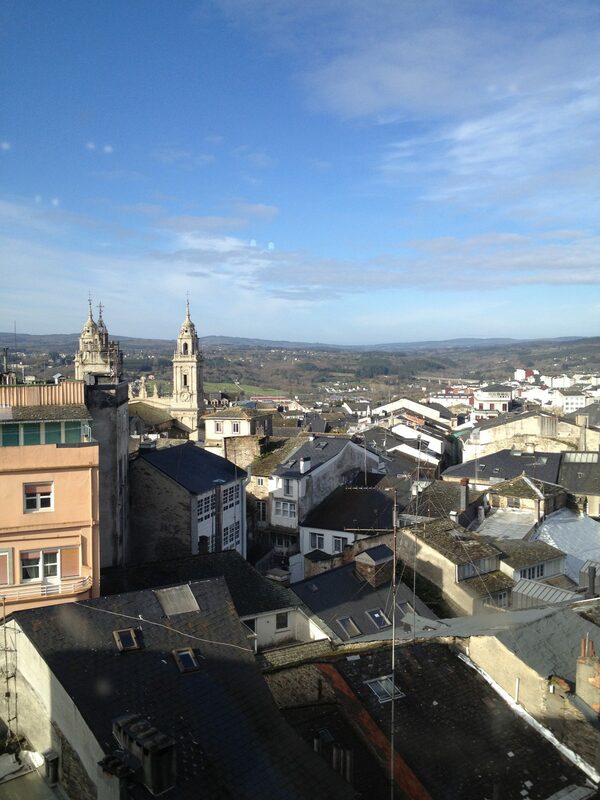 Well, it’s time for you to learn about the beautiful city of Lugo, Spain. After our brief 2 day stay in Paris, we hopped on a flight from Paris-Orly Airport to Santiago, Spain. After a two hour delay, it was a quick flight down and we were greeted at the baggage claim by our gracious host. We did however run into a little bit of a hiccup, as the airline lost Tips luggage. Mind you we were one of the last flights to arrive as it was around 10pm at night, and the Santiago airport is a very small airport. I took four years of Spanish in high school and a couple of terms in college, but I am nothing close to fluent and the perso n at baggage claim did not speak any English. 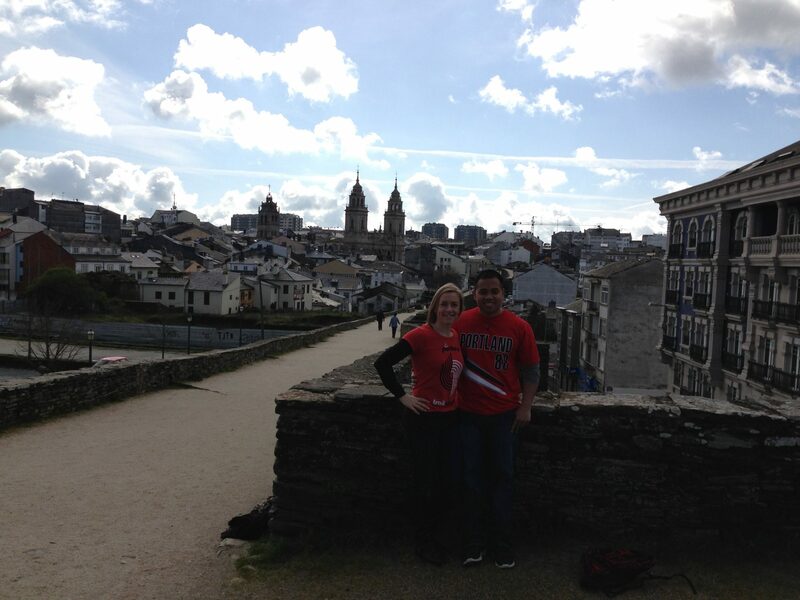 Luckily, Katelyn was fluent in Spanish after living there for a while and she was able to get everything squared away and my bag was sent to their apartment the next day in Lugo. After we dealt with the missing luggage, we hopped into their car and continued the 90 minute journey to their apartment in Lugo, Spain. The drive flew by quick since the ladies spent most of the time chit-chatting and getting themselves back up to speed on each other’s lives. Once we arrived, it was a quick tour of their two bedroom apartment and right to bed because we felt like we had been traveling all day. The next day, our amazing host surprised us by putting us up in the nicest hotel in the heart of downtown Lugo for the whole week (Hotel Mendez Nunez), which I would like to take a side note to thank them again for everything that they did for us on this trip, they were more than hospitable, they treated us like royalty! The hotel was roughly 10-15 minutes walking from their apartment. But the location of hotel was amazing because it was right in the center of town. When you walk out of the lobby, you are right next to all of the shops. Of course we had to check out what Spanish shopping was all about. The shops had much to offer and was reasonably priced, but there wasn’t much we could buy because we had an issue fitting into most of the clothes. lets just say that Tarah and I have broad shoulders and aren’t built like the typical Europeans so it was not easy to fit into the clothing. 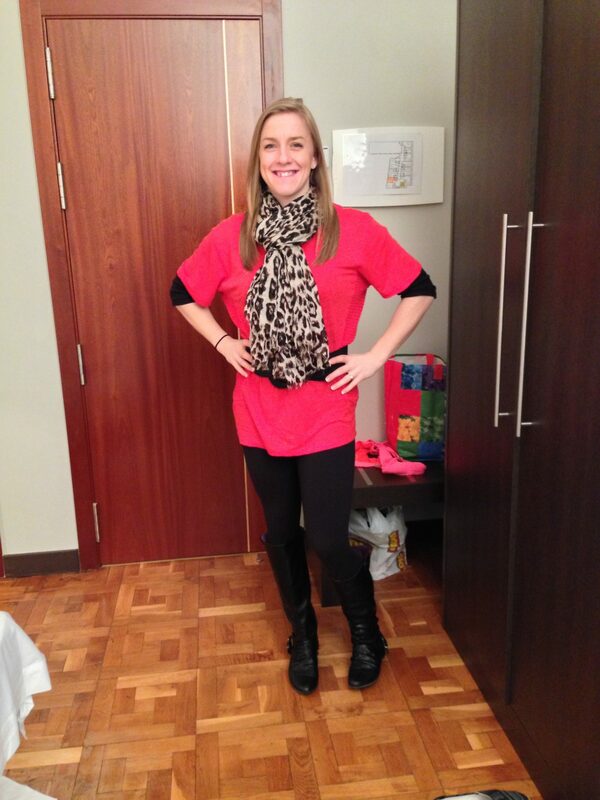 But we were able to stumble across a few things, mostly scarfs, shoes, a couple of shirts, and a sweater. 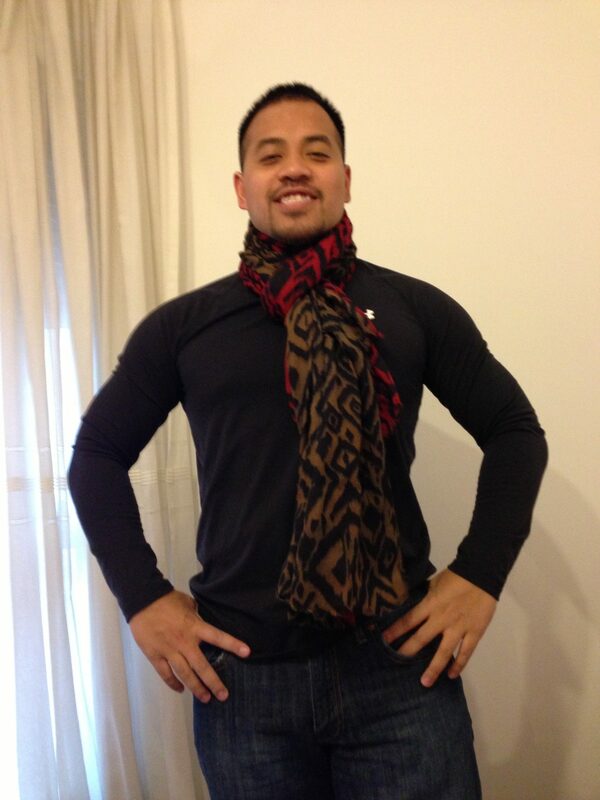 (The scarf game in Europe is strong). 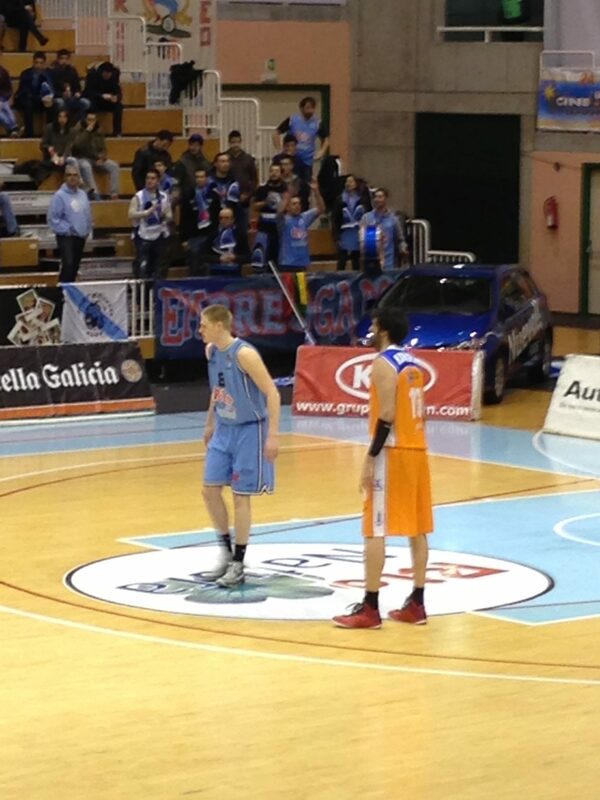 After our mini shopping spree we got to attend our first European Professional basketball game. It was awesome to see Roeland playing, and he made several baskets, which we believe was specifically for us! It was a very entertaining game, unfortunately we do not recall the outcome of the game so lets just say that they won! The game ended around 9pm and Tarah and I were starving because as Americans we are used to eating dinner around 6-7pm. As we rushed to a nearby restaurant, we arrived and there was no one there. Normally you would think it was due to the fact that it was so late and they were closing up, but it was the complete opposite as Spaniards eat dinner very late. They were just setting up for dinner as we were arriving. It was roughly 930-945 at night and they were just setting up! We had the whole restaurant to ourselves for roughly an hour, then around 11pm, herds of locals busted through the doors. 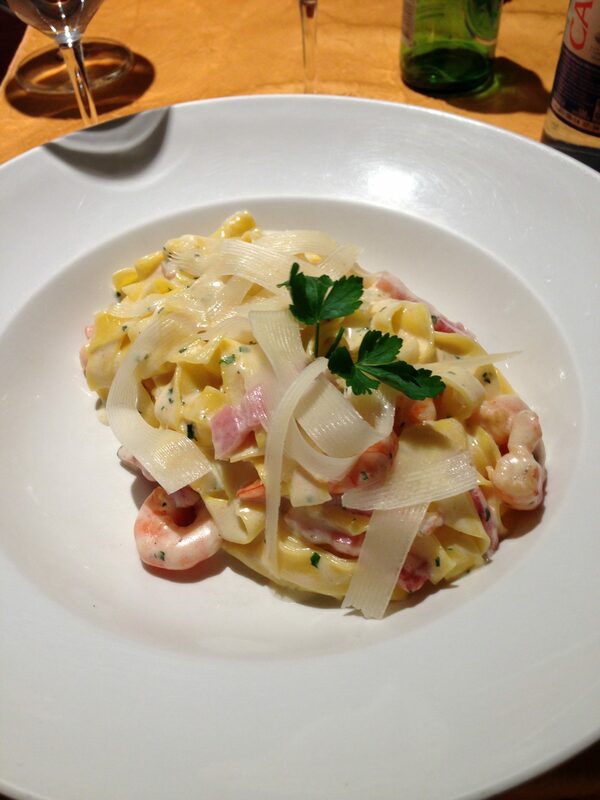 The food was amazing, and the atmosphere was even better. As we went out to eat every night in Lugo we found this pattern to be the norm. Eat late, sleep in late, go to work, break for a “Siesta’, go back to work, eat late, and repeat. I would like to take a brief minute to talk about the “Siesta”, Spanish for mid day nap. It is something that is a part of the Spanish daily life. It was interesting to experience it in full affect in such a small town as Lugo. Between the hours of roughly 12pm-3pm most of the town was shut down while workers went home for lunch and usually a nap. 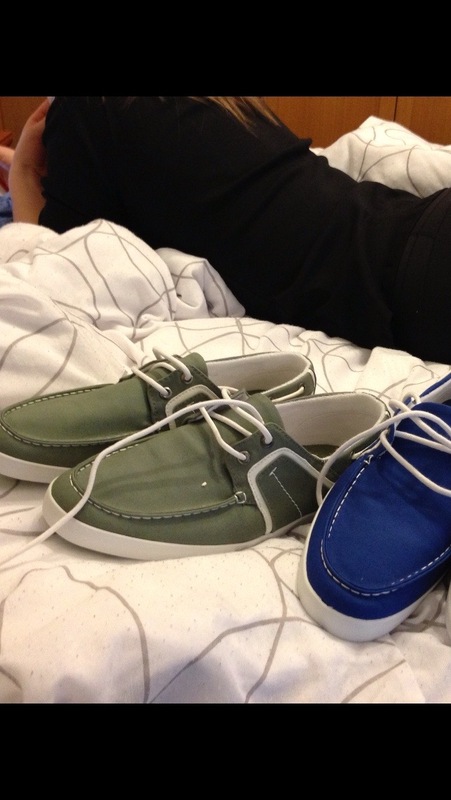 Of course we respected this custom and followed suit, who doesn’t like a good nap?! Tarah and I love this concept so much that we have adopted it into our daily life as we try to take daily naps. We have found it to be very beneficial to our productivity and energy on a consistent basis. Lucky for us, we are personal trainers and are able to make our own schedules and we usually always have a big break during the middle of the day so the ‘Siesta’ fits perfectly into our lifestyle. 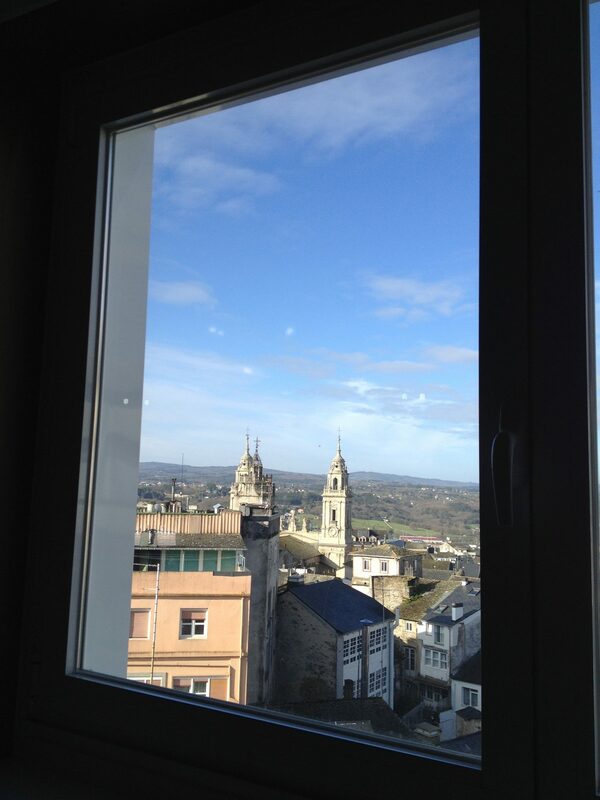 Our week in Lugo was eventful and relaxing at the same time. It is a beautiful, small town that is very laid back. 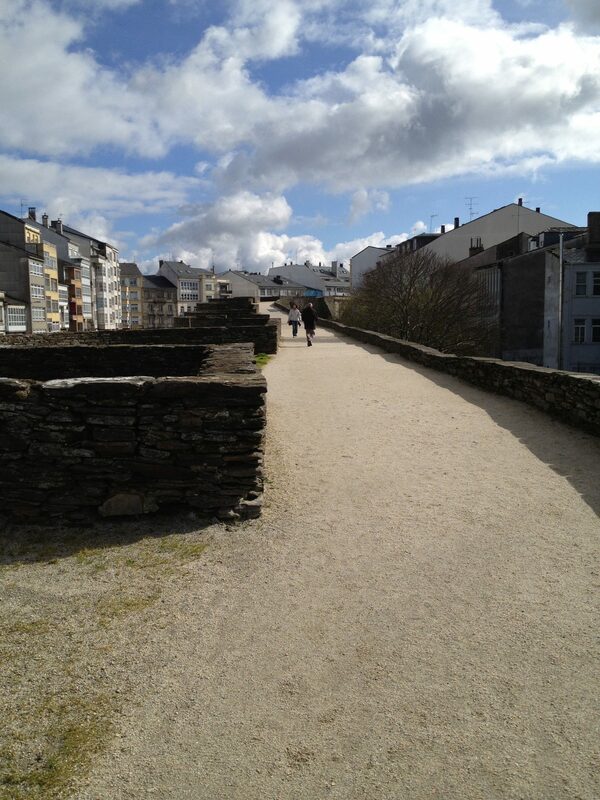 One of our favorite things to do was to walk along the Roman wall that surrounds part of the city. These defense walls are the only surviving fully intact walls from the Roman Empire anywhere. The circumference of the wall is roughly 2 kms. Katelyn took us for a nice stroll around the whole thing, as we stopped and took pictures. 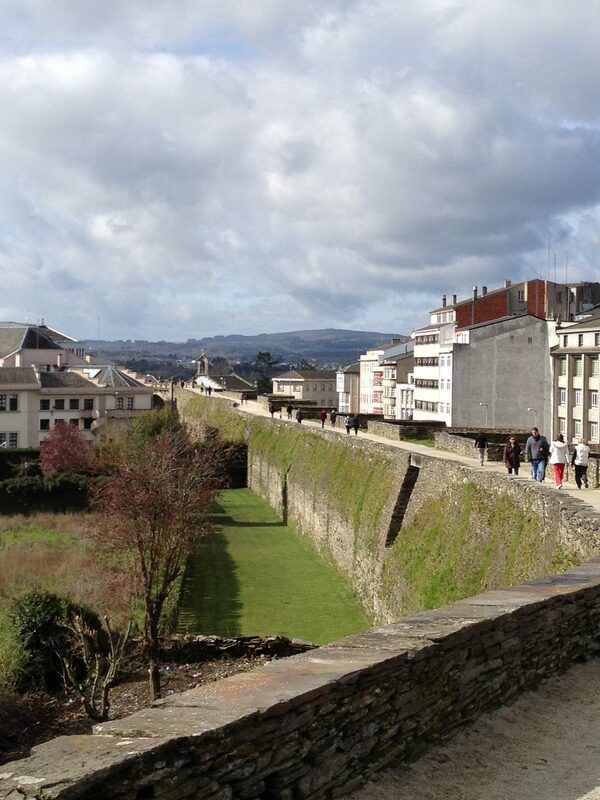 The wall itself is an amazing site to see, and the walk around the wall allows you to take in all the beauty Lugo has to offer. 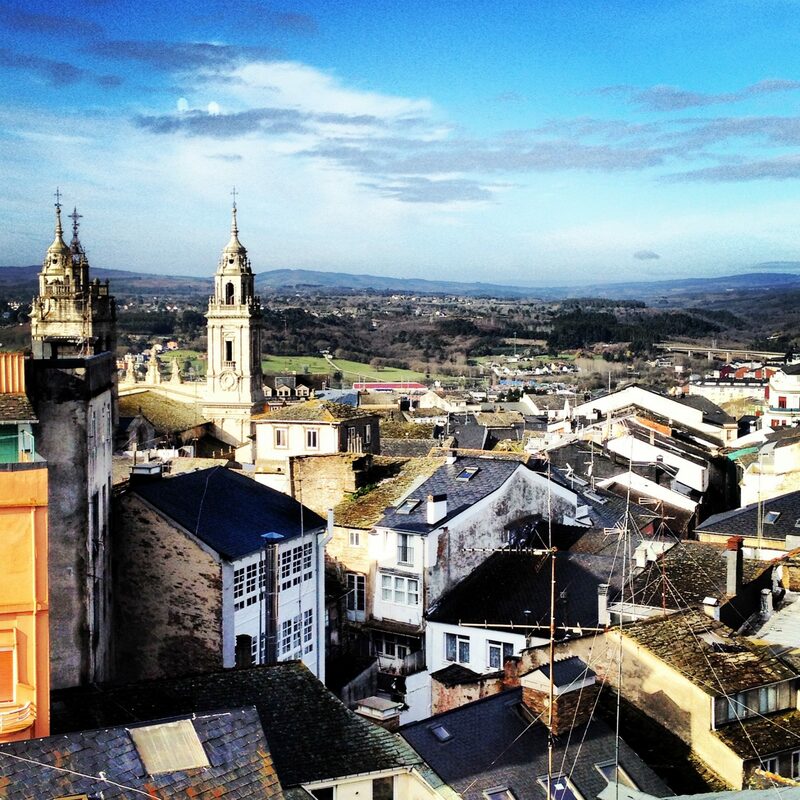 If you are looking for a vacation different from the normal touristy destination, Lugo, Spain should be high on your list. Love to visit places off the beaten path! 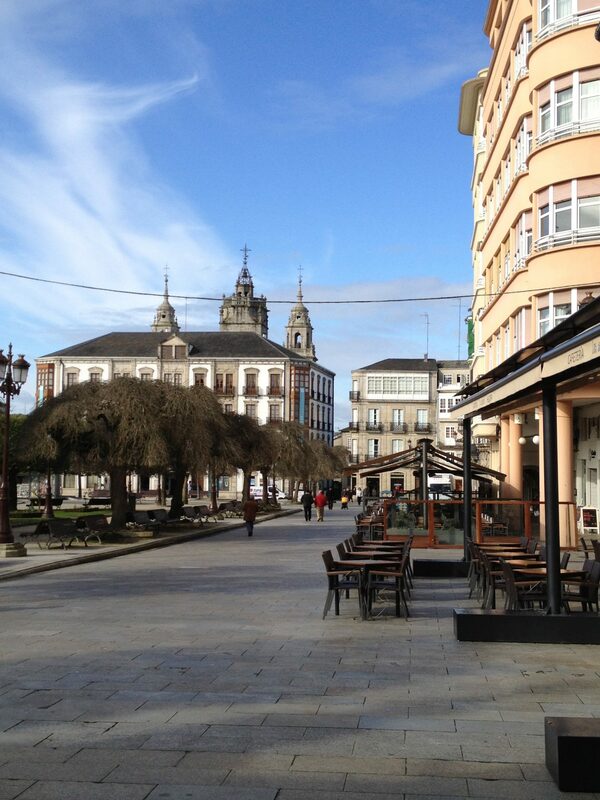 Looks like you had a great time in Lugo! Where to next on your travel map? Our next trip will be domestic within the United States. We will be going south to San Diego for a friends wedding, but we have never explored San Diego so that will be exciting. But shortly after that, at the beginning of the year in January we will be going to Costa Rica and Nicaragua to celebrate Tips 30th birthday and Tarahs 28th birthday. So excited, we hear both countries are absolutely breathtaking.